The sun is rising to the right of the 747. Folks are gathering their belongings as Tokyo and respite from the long flight approaches. But I’m looking to the left, waiting for an old friend to amble into view; waiting for Fuji-san. Like the Gates of Imladris, Mount Fuji identifies the approaching land as a bastion of civilisation and culture. I smile as the volcano passes below. An odd combination of excitement and serenity overwhelms me; I’m back in Japan. In any corner store in any town in Japan one can find several shelves well stocked with whisky and other spirits. It was in just such a store, in the shadow of Mount Fuji, that I first encountered Kirin Fuji Sanroku blended whisky (the original version) in 2014. Eighteen dollars for a nigh-on cask strength whisky? How bad could it be? As it turned out, not bad at all. It would have tasted even better had I bought it in Tokyo, where the street price was about ten bucks. A product of Kirin’s Fuji Gotemba Distillery, Fuji Sanroku is one of the most ubiquitous “supermarket whiskies” in Japan. The original, but not the best. Four years on, the bottle has grown to 700ml (up from 600) and its label now prominently proclaims “Non Chill Filtered”. The recipe has changed but not beyond recognition. Fuji Gotemba chief blender Jota Tanaka has created a whisky that is more refined, better balanced and more flavourful than its predecessor. The distillery produces malt whisky and light, medium and heavy grains, to the tune of some 12 million litres a year. Yes, it’s huge. Reprising a tale of other Japanese distilleries, the location was allegedly chosen based on it’s Scotland-like climate. The town of Gotemba, at the feet of Mt Fuji, is 620 metres above sea level, with an average temperature of only 13 degrees, so I’m inclined to believe the story. 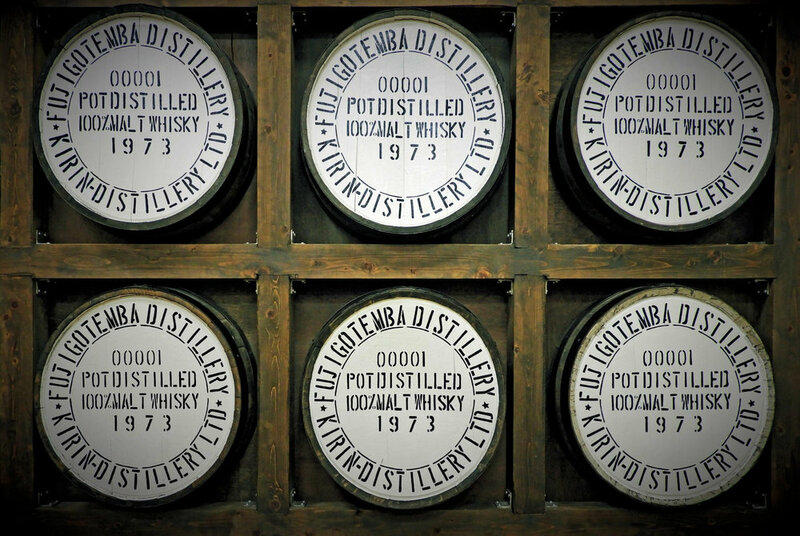 The Fuji-Gotemba distillery was founded in 1973. Is that what they mean by barrel-proof ? Originally a collaboration between Seagram’s, Chivas and Four Roses, the Gotemba distillery is now the sole province of Kirin, Japan. As malt is casked at only 50.5%ABV at Fuji Gotemba (grain is between 55 and 63%) this blend is pretty close to the cask filling strength there. In other words, your ten to eighteen bucks is paying for a lot of whisky and not much added water. Atsushi Horigami’s Bar Zeotrope, Shinjuku. 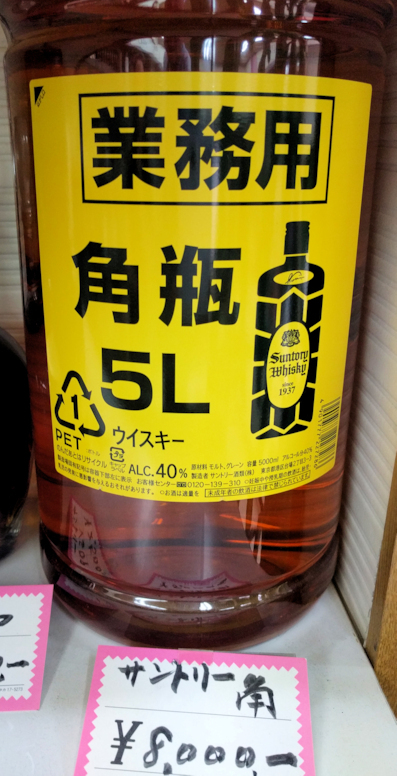 Unfortunately, my local store only stocked these small bottles of Suntory Kakubin. Bar Intium, Tsuruhashi. Blade Runner territory. Futuristic, dystopic, dark, intense and my favourite part of Osaka. Nose: Stewed apples, Brandy Snaps, coconut, raspberry and black tea. A whiff of pine sap and a blast of ethanol. Palate: Chotto mizu, yields a soft arrival despite its high ABV. Simple and sweet. Vanilla wafer biscuits, a touch of kiwi fruit and raspberry, which lingers a little before disappearing in a puff of tannin. It's all quite pleasant, if simple and two dimensional; like most of the people I meet. Fuji Sanroku is young and unsophisticated but inoffensive without being boring; unlike most of the people I meet. While it’s predecessor could fairly be described as cheerful but a bit rough, this is somewhat more refined, if still young and volatile. The cold climate works against Fuji Sanroku here. Mouthfeel is more substantial than the original but still unnoteworthy. A short finish of black tea and bubblegum concludes with a dash of spice, a touch of oak and a sting of alcohol. Space filled by Kittler... Chairman Meow? Oshita-san, Bar Freedom, Osaka. Arigatou gozaimashita! An evening at Toshiharu-san’s Hanaikada Recording Studio put quite a dent in the Fuji Sanroku. Arigatou gozaimashita Toshiharu-san! In 1828, a Scotsman, Robert Stein, built on the work of his predecessors to create a still that fed the wash (the raw material of the distillation process) through a column of partitions. Called the Patent Still, it was first used at the Cameronbridge Grain Distillery in Scotland. A demonstration of Stein's still observed by Dublin excise tax* collector, Aeneas Coffey, inspired the French-born Irishman to improve and subsequently patent the design in 1830. Coffey had, no doubt, seen all manner of still designs during his long career as an excise officer. The continuous distillation of the Coffey still (as opposed to the batch distillation of a pot still) proved much cheaper to fuel, faster and more efficient, producing a higher concentration of alcohol in the final distillate (up to 95.6% ABV in a modern Coffey Still). So, while many Irish and Scotish distillers remained loyal to their pot stills, the Coffey Still was widely adopted for the production of grain whisky, gin, rum, bourbon and vodka. You know, all that stuff that is inferior to Single Malt. Coffey himself gave up distilling in 1835, closing his Dock Distillery in Dublin and establishing Aeneas Coffey & Sons in London, building Coffey Stills for others. In his latter years, despite his inestimable contribution to distilling worldwide, Aeneas Coffey drifted into obscurity. His burial site is unknown. 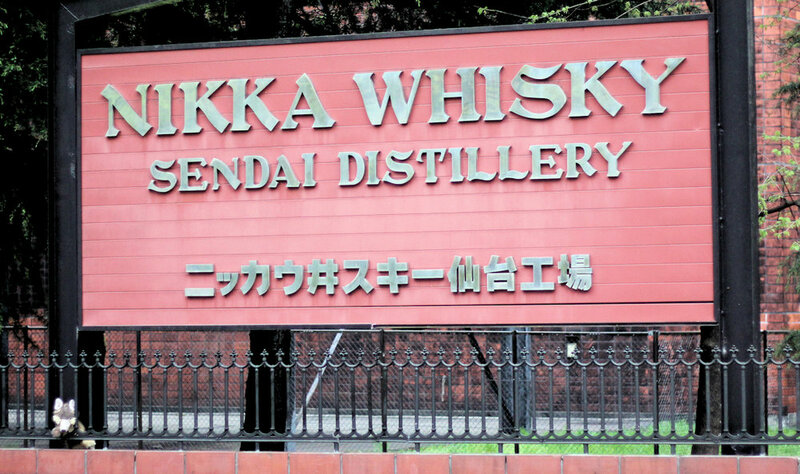 In contrast, Masataka Taketsuru, founder of Nikka, is highly revered to this day. 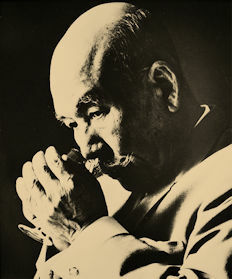 He is regarded in Japan as The Father of Japanese Whisky. Nose: Rich, sweet, vanilla custard, orange toffee, coconut and a touch of cinnamon. Simple and sweet but quite pleasant; like a country girl (sans ute). Palate: Substantial, almost syrupy mouthfeel, orange, coconut, corn syrup and canned fruit; sweeet. Refined and clean but still a one trick pony; unlike a country girl. A pleasant but short finish of cinnamon and oak, sullied somewhat by a very slight metallic zing. This is a lovely whisky, as grain goes. Much more sophisticated than Teeling Single grain. More grown up than Suntory's Chita. More robust than Greenore. And yet, just a little dull. One can't help but wonder; how good would this be from a pot still? Nose: Vanilla, oak spice, rich malt, ripe green fruits and fresh sponge cake. Palate: Substantial mouthfeel, on the shy side of chewy. Red fruits now, more cake, rich hazelnut, caramel and, ironically, creamy coffee. Yummy. A medium finish of ripe red plums and whipped cream...topped with nuts. Yes, it could be a desert. It should be a desert, damn it! On the sweet side but otherwise balanced and interesting, if not complex. So many Nikkas, so little time. * 1:The redistribution of wealth, by force. 3:The punishment of those who have done nothing wrong in order to reward those who have done nothing right. My children are fish. Well, more accurately, marine mammals. 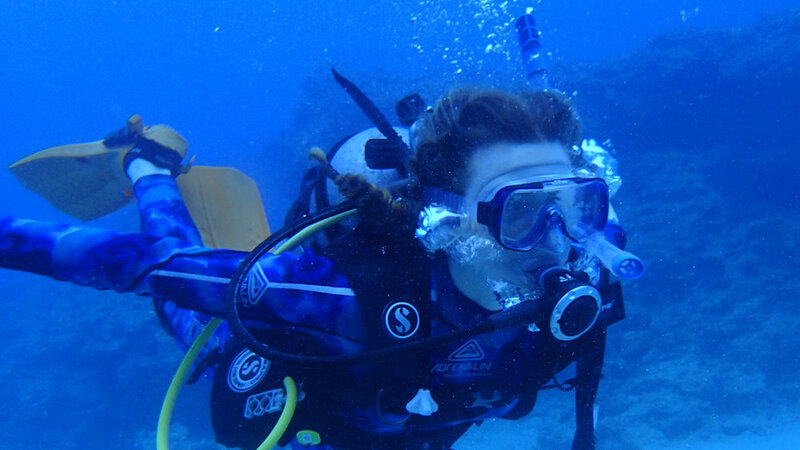 They started snorkeling as soon as they could swim, Scuba at twelve and by fourteen had quite a few dives in two countries under their weight belts and Advanced Open Water certification. So when they wanted to do a Nitrox (high O2 content gas) course, I just asked where. I think I actually heard my credit card groan and snap when they answered "The Great Barrier Reef". My daughter in pursuit of a banded sea krait. What could be a more appropriate dram for three nights at sea (recounting/embellishing the days adventures), than the traditional maritime spirit; rum! Fortunately, a couple of bottles of El Dorado Demerara rum had arrived the previous week (complete coincidence of course). 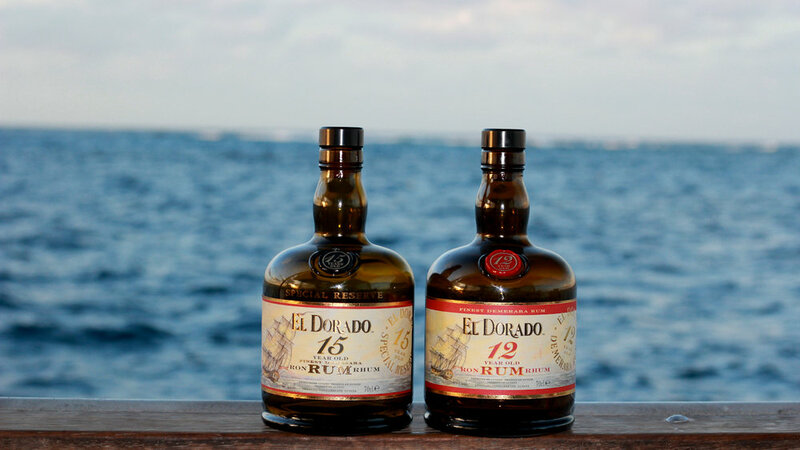 El Dorado 12 and 15 year old are blended rums distilled using a combination of stills; single and double wooden pot stills and Coffey stills. They are then "married" in bourbon casks during maturation. A dangerous sea creature! And a shark. The 15 allegedly contains rums of up to 25 years old, which is a very long time in the hot climate of Guyana. The 12 can be had for about $80-100AU whereas the 15 is $100-150AU. In addition to three years extra maturation, the 15 also has a higher ABV, at 43%. Hitch readies dive gear in case of rum overboard. Nose: Bourbon, lots of it. Oak, lime, orange zest, allspice and a hint of tea tree oil on a backdrop of damp hessian; complex and interesting. Palate: Rich, ripe fruits/Demerara sugar sweetness balanced by exotic spices and dry oak. Caramel, blackberry, dark chocolate and lingering vanilla in a drying medium-long finish. Divine. No. 1 son about to embark on another underwater adventure. Nose: Damp cedar, molasses, overripe banana, wet leather and iodine. Altogether darker and danker than the 12, the 15's nose is quite complex but somewhat muted in comparison. Palate: Velvet-smooth mouth-feel. Rich caramel, banana cake, cinnamon, ginger and a hint of cigar smoke. Delicious, opulent, old. Liquid sticky date pudding balanced by dry oak that overtakes the sweetness in a delightfully long finish. The 12's Demerara backbone has morphed into rich dark brown sugar, which analogises the difference between these two rums; the 12 is in its prime, well matured but retaining youthful vibrancy. The 15 has gained refinement and richness at the expense of some complexity and vigour. While the 12 is undoubtedly the more satisfying of this pair, (despite its 3% ABV deficit and lower price) they are both outstanding value. I will buy the 15 again, simply because it's a different experience to the 12. The 15 has been the recipient of the Wray & Nephew Trophy for Best Rum in the World at the International Wine & Spirits Challenge for an unprecedented four years running; an accolade it certainly does not deserve but one which serves to illustrate just how adorable it is. If you'd like to get into sweeter, darker rums, this delightful pair is a good staring point. Sunset on The Reef. One more dive tonight then it's El Dorado time! Old faithful on the left, to the right, the usurper. Dewar's 12 did pretty well in last year's sub-$40 whisky comparison. Its distinctive character, decent nose and a judicious dollop of peat saved it from mediocrity. Not content to rest on the 12's laurels, or perhaps unable to resist the urge to fix what ain't broke, Bacardi (the owner of Dewar's) has rebranded, and apparently reformulated, Dewars 12 as "The Ancestor". Just like changing the flavour of Coke, what could possibly go wrong? Colour: Deep gold. Not skimping on the E150 colour but a little lighter than its predecessor. Nose: Peach, Juicy Fruit gum, malt and grapefruit. A little almond but nowhere near as nutty or peaty (in fact there is no peat to be found) as the previous iteration. Very grain driven and much less interesting than it used to be. Palate: Enters quietly; its presence barely noticed until mid palate whence it delivers a pleasant burst of vanilla, barley and malt, fading to honey and ripe peach with a touch of spice. Nice. Inoffensive. Bordering on insipid. Hitch, distressed over the dumbing-down of Dewars, consoled himself with the whole bottle. Mortlach; not only a great Bond villain, but also my favorite distillery. * Founded in 1823, Mortlach was the first distillery in Dufftown, Banffshire. It was built around a well that had historically been used as the water source for production of illicit whisky. Forty years later, a Mortlach employee named William Grant left to build his own distillery; Glenfiddich. A worm tub in action. Shell and tube condensers, without the shells. These consist of a copper shell containing dozens of small copper tubes. The greater surface area of copper in these condensers is better at removing heavy elements, more of which escape a worm tub to give a beefier flavour profile. At least that's what we hope will happen. If you have ever tried Johnnie Walker Black Label, you have tried Mortlach, which is a keystone of Black Label's flavour profile. The worm tub has far less available copper to bond with gunk. But we like gunk. Nose: Rich chocolate, dates, figs, musty, damp hessian, caramel, maple syrup and old, sweet, sherry. A counterpoint of ripe orange zest and maraschino cherry. Superb. Palate: Big, fat, chewy. Enters like Seal Team Six. Ka-Boom; flavour,flavour,flavour. Dark chocolate, malt, maple, caramel and delicately aged sherry. Dates, sweet raisins and Turkish Delight in a finish that will bring tears to your eyes, particularly if this is your last dram. A big, beefy, characterful malt with terroir so distinctive it could have come from nowhere else but Mortlach. * One of these statements is true. 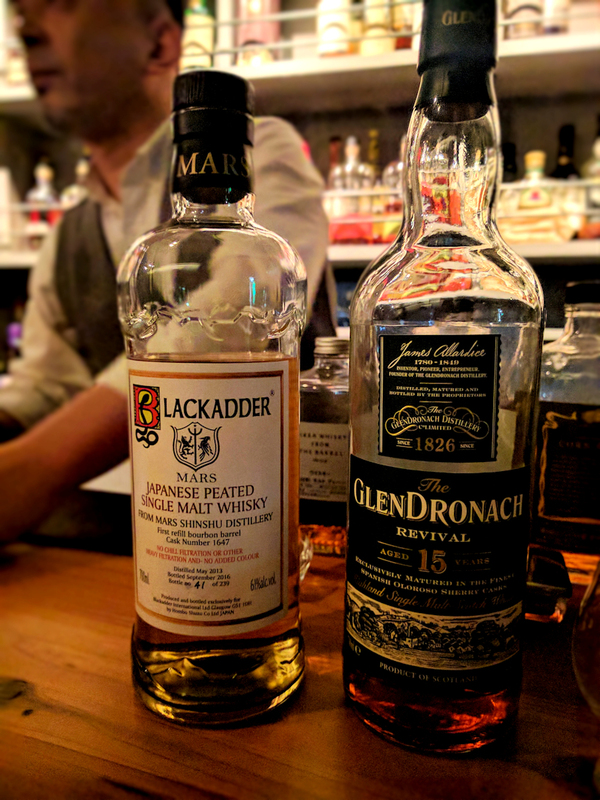 My first experience with G&M Mortlach 15 was early in my whisky infatuation and it likely played a big part in furthering that infatuation. What I can say with certainty, is that I didn’t fully appreciate it. My Uncle had purchased a bottle of this unique Speyside whisky from Dan Murphy for the hefty sum of $39. He was hesitant to buy a bottle due to comments on their website such as “Worst whisky I’ve ever tasted” and “sits on my shelf as an example of truly terrible whisky” Maybe these poor folks were sitting at the dinner table and mixed up their glass of whisky with a candle or a bottle of Windex. Maybe they were just terribly unlucky and got shafted with a contaminated bottle or a poor cask. So what’s my take? Does it taste like the tears of a disappointed whisky enthusiast or something far less depressing? This whisky comes from independent bottlers Gordon & MacPhail. What does that mean? Independent bottlers buy whisky from distilleries and bottle and/or age them themselves. Gordon & MacPhail purchase about 95% of their whisky as new make spirit and age it themselves, in their own warehouses. They have been doing this since 1895 and they’ve yet to disappoint me. Mortlach has a distinctive character due to its unique distillation process and the use of ‘Worm Tubs’. A “primitive” form of condensing whisky vapour into liquid, these small copper tubes have been replaced by modern condensers and, although worm tubs are outdated, they impart a very desirable character on whisky; a thick, meaty texture. Several distilleries still use worm tubs, including Edradour and Craigellachie. (You won’t find a single worm tub on Islay!). Mortlach will tell you their whisky is distilled 2.5 times. Confusing? Do they have an Irish and a Scottish distiller who can’t agree on whether to double or triple distil? No. What they mean by this is that one of the spirit stills, known as “Wee Witchie” distills the ‘charge’ twice. Resulting in a rich, robust and pungent spirit. Enough about what happens before it gets into your glass, if you’re not nerding out about the process and just want to know if it’s any good or not, the short answer is yes. Thanks for coming. Continue reading for the long answer. The colour is a rich amber in the glass and although they don’t claim it on the bottle, I don’t believe it is coloured. It has a bigger nose than Barbra Streisand, with notes of delicate sherry, sweet malt, hard candy, fig, dates, fruit cake, wet carpet and orange rind. The mouthfeel is superb, the worm tubs have done their job making this a thick, oily, mouth coating dram. On the palate, it’s surprisingly light and easy to drink but full of robust flavours of peach and nectarines up front, flowing into a little sweetness of vanilla and obvious sherry, soft oak and caramel. The finish has an oaky spice and tropical fruit flavours that mesh with typical sherry notes of toffee and dates ending with a very light aniseed influence. On paper it sounds like a strange glass of confusion but it works, fantastically. This is a beautiful whisky in every way. To me, this is what a Speyside should be. From start to finish, it is an exemplary whisky. It’s thick and velvety and has big, rich, complex flavours with an approachable sweetness, and more finish than Helsinki. This is a beautiful whisky that has no let downs. The price has more than tripled, from $39 to $120. But it is still a gem at this price. Oooh an 8 year old Highland Park, and from independent bottlers Gordon & MacPhail no less! Independent bottlers, at least the well established ones, are increasingly a reliable source of good whiskies. Adelphi, Gordon and MacPhail, Douglas Laing, van Wees, Cadenhead and others offer some great value, interesting bottlings. I have found them to be generally above average, characterful drams, punctuated by the occasional magnificent discovery or disappointing dud. If you'd like to see your favorite distillery from a different perspective, or unadulterated in all its potential glory, independents are where you should look. I picked up this bottle for the princely sum of $35US, which means it would cost about the same as a distillery bottled 40% ABV 12 year old Highland Park in Australia. This bottling though, has a higher octane rating (43%) and appears to be free from colouring. While I'd love to say it has not been chill filtered, there is no statement to that effect on the label and the addition of water creates no cloudiness or Scotch Mist in the glass, so we must assume the contrary is true. Although Highland Park is Scotland's most northerly distillery (less than a kilometer north of Scapa distillery) the climate of the windswept Orkney Islands is surprisingly homogenous, due to the influence of the Gulf Stream. For those of you about to board a flight to Orkney, expect an average winter temperature of 4 degrees and 12 in summer. The winds on Orkney are constant. In summer, darkness is never complete, while in winter, the days last as little as six hours. Nose: Cashews, walnuts, leather, mango, apricot and sweet peat. Palate: A few drops of water will liberate subtle (but ever present) sweet peat, less subtle brine, toasted grains and sweet tropical fruit flavours. Decent, if not luxurious, mouthfeel. Sweet honey, smoky, salty, balanced. Interesting rather than complex, it develops a lovely vanilla bean influence mid-palate, finishing with the lingering smokiness of a good cigar, rather than peat. I'm thoroughly enjoying this. It isn't magnificent, but it is a good, straightforward dram that displays its youth with a delightful freshness of flavour rather than brashness. On the flipside, one dram is the same as the next; it develops little in the glass or as the level in the bottle diminishes. The latter will happen quickly though, as it is just so eminently drinkable. G & M Highland Park 8 year old isn't any kind of challenge or revelation. It's more like a comforting fireside chat with a friend. Label 5 is owned by La Martiniquaise, who also own the Glen Moray distillery, allegedly the main contributor of malts to Label 5 blends. Gold Heritage is approaching the high end of garden variety blend pricing, if not quality. I'm going to jump ahead here for those of you in a hurry or reading this on your phone in the whisky aisle at Dan Murphy and just say, skip this blend and buy anything from Glen Moray instead. All of their single malts are considerably better and will save you up to twenty bucks. Nor will you have to put up with the ridiculous plastic bung in the neck of the bottle that makes it dribble incontinently rather than pour. The heavy rectangular bottle looks more French than Scottish, as one might expect given it is a La Martiniquaise product. With the plastic thing choking its neck a cork is out of the question, so it's a plastic screw cap atop this glass monument to marketing. According to Label 5, Gold Heritage contains malts of various ages, with some "aged for more than 20 years". Nose: The sour/bitter scent of stale old casks. Grain, lemon, walnut, harsh spirit and...and nothing worth tarrying over, let's move on. Palate: Better than the nose portents but I struggle to find much flavour. Simple bordering on bland. Hints of pistachio, apricot and rosewater but a flourish of caramel and butterscotch is the highlight until a very grain driven finish when vanilla and cinnamon pop into the picture, fading quickly away to a somewhat metallic finale. There is a harsh little sting in its tail, but otherwise, it is an unchallenging and inoffensive blend that will, Ninja like, make it's way from bottle to gullet barely noticed. Perhaps that's what they wanted. Perhaps that's all they had to work with. Label 5 Gold Heritage is a less than average blend at the cost of many a decent single malt. For the price of Gold Heritage, Glenmorangie 10, Glenfiddich 12, Glen Grant 10 and numerous other malts offer much better value. It's not a bad whisky; but, with much improvement, perhaps it could be. The first release of the 2003 Bourbon Cask Edradour was magnificent. A whisky best described as intense, it packed three litres of flavour into a 700ml bottle. Then came the 1999 Sherry Cask. The first bottle I bought was unpleasant. Undaunted, I tried again but the second bottle didn't live up up to the low standard of the first. If you would like to know more about that debacle in particular or the Edradour Distillery in general, you may like to click here. Edradour, I have found, is an inconsistent Malt. The first release of the 2003 Bourbon Cask was a powerful dram that many would rate in the low to mid 90's. The 1999 Sherry Cask was either the victim of a batch wide contamination that would make Union Carbide proud or just bloody awful. In any case, the buck stops with Edradour. Colour: Yellow gold. Nary a hint of artificial colouring here. Far too hot to drink neat; water, a lot of water, is its friend. Nose: Grassy, green apples, lemon essence, grapefruit and peach. Yeast, grain and vanilla. Palate: Intense, young, (tastes much younger than its 11 years). Lashings of spearmint, vanilla, sour pineapple and marzipan. Lovely, creamy mouthfeel. Developes into a spicy, hot, spirit driven dram, not much cask influence. Spirit competes with vanilla for dominance of the lingering finish, and finally, some oak. I opened this bottle six months ago. Squeals of delight from the malt lovers present that evening (recalling the magnificence of the first bottling) quickly turned to howls of disappointment. And so the bottle sat undisturbed for some time. Six months later things are much improved. Time in the glass also helps; letting it sit, watered, for at least ten minutes, will reveal more flavour and less heat. If the original release was kinda Cate Blanchett; intense, complex, seductive and memorable, this bottling is more Emma Watson; young, hot, rich, and utterly forgettable.